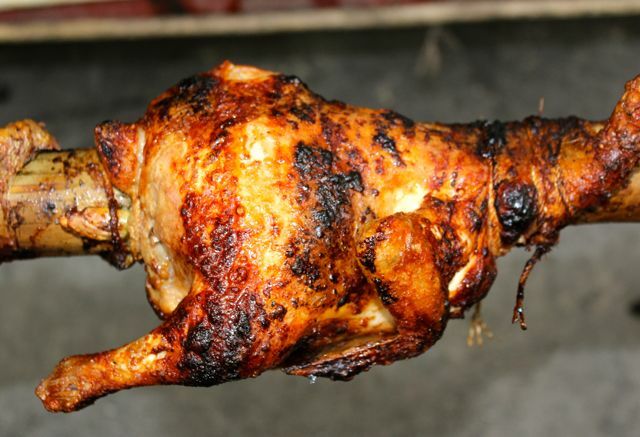 There are just some dishes that are almost universally satisfying… and roast chicken must be one of them. Whether done on a fancy rotisserie in your oven or barbecue, over a charcoal pit, etc., the flavor of the charred skin and the blandish but hopefully juicy meat is familiar to millions of folks around the world. Maybe a couple of hundred years ago it was duck, pheasant, pigeon, and other fowl, with a stronger flavor profile… but today it’s more likely farm raised chicken. For dinner, we had slow roasted beef ribs, ayyy ang dami kong nakain. I told myself, I can’t think of anymore food. But, when I open your site and saw this picture, gosh, I salivated (even though its 11:15 night). We have a whole chicken inthe fridge, and I think kahit na mayron pa kaming left over na ribs, iluluto ko yung chicken in our charcoal grill bukas. Thanks. wow another hit from the Lord Pork, paano yan may chicken na. Baka pwede Meat Lord na lang. Hey MM, happy birthday to us!! Happy Birthday, MM! 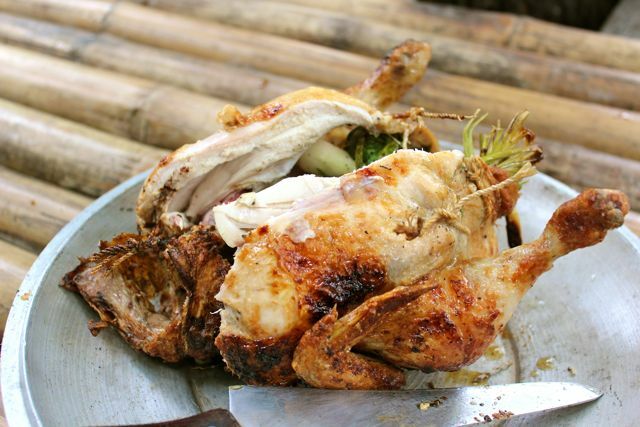 I wonder how these lechon manok stalls all over the metropolis can’t get this primitively simple	dish right? The way you describe it, it’s so straightforward and no B.S., which is precisely what gives this style of roast chicken its flavorful charm. happy birthday, MM! 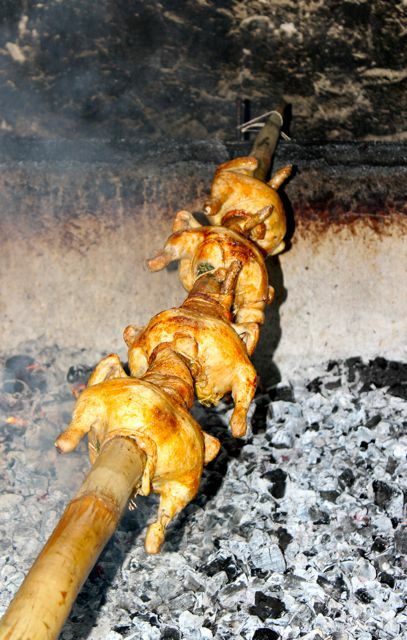 nice to see the chickens are cooked through….a frequent bummer for chicken barbecue is when there are bloody areas around the bones. here’s wishing you more posts, more eats, more discoveries, and more love all around! Maligayang bati sa iyong kaarawan, MM! Happy birthday MM! Chicken in the 1st photo looks really plump, juicy and flavorful. Chicken in the foreground, 2nd photo, looks kinda obscene though, haha. MM – more blessings your way on your birthday!! happy birthday mr. mm. all the best. We do almost the same thing too, and results have been awesome. Frankly speaking, I think it’s the best way to make roasted chicken, minus the MSG and/or the brine.